I can't believe this is my last post with Paper Made Bakery. It has been such a fabulous year of kits and projects. This month's Fresh Squeezed Stamp set is absolutely my fave. But I *might* have a thing for coffee. 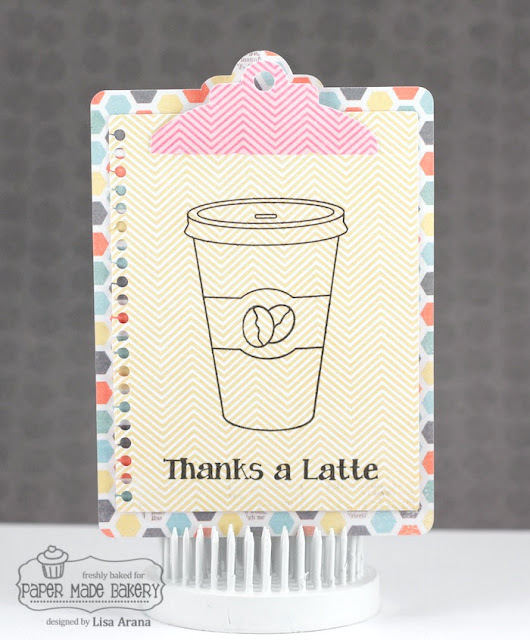 I'm using THIS Silhouette file to cut out this cute little gift card holder. Yep, there is a hidden secret behind. using some strong glue and a square panel of paper. A great BIG thank you to Shannon at PMB for this amazing opportunity. It has been FABULOUS fun! Love love love love this Lisa!! I am loving how you added the pocket for the gift card!!! LOVE this project and you know that I LOVED working with you Lisa!!! Right back at you, Lisa! It's been a great year and I've loved working with you! 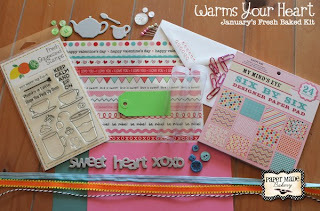 I've loved your adorable projects! Love your adorable gift card holder! It's time to "pump you up"! need a little perking up?